Gene Jennings is the perfect example of a writer who did not give up on his dream. After his mother’s death, he said he realized “how quickly life was passing by and I didn’t want to go any further without pursuing my dreams.” Amen to that. It’s something every writer can relate to and take inspiration in. Tell us how a pastor makes the transition to author? How long have you been writing? 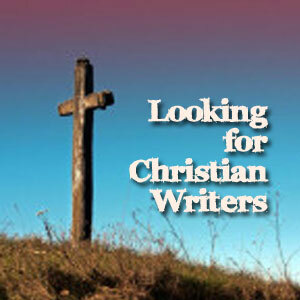 I began writing freelance articles for Christian magazines in the early 90’s. I wanted to write a book at the time but I learned that book publishers would need to see that I had been published in other ways. So I began writing for magazines. In a brief amount of time, I experienced a great success rate with my submissions. Then life happened and I quit writing for a few years. After my mom’s death, my writing was resurrected. Probably because I realized how quickly life was passing by and I didn’t want to go any further without pursuing my dreams. Congratulations on your book, Laughing with Sarah . Tell us more about it. Laughing with Sarah is subtitled “Thoughts on the Journey with God” because following Christ is a journey. It’s a series of mountaintops and valleys. Most of the time, we are somewhere in between. There are times when God shows us something so unbelievable that we, like Sarah in Genesis, laugh at the ridiculousness of it all. There are also times when he moves us so profoundly that we can do nothing but stare in awe. It is a collection of essays that will trigger thoughts, bring wisdom, and give practical insight to help you along the way – wherever it is you may find yourself – on the journey with God. I hope readers will realize God’s grace – that Christianity is not a performance-based religion. God wants us to love him and obey him because we want to, not because we feel like we have to. Will you write additional books? What’s next for you? Share some of your writing goals. I have a completed novel that is currently being represented by my agent. I have another non-fiction book about 80% complete and the rough draft of another novel about 50% complete. My goal is to reduce my hours at my current church position to part-time in about 7 years so that I can dedicate more time to writing and traveling on various mission fields. Book?? How about books? It’s hard to nail down one specific book though as a pastor I am obligated to say that the Bible is the ultimate book. And I truly mean that. I love classics like A.W. Tozer’s The Pursuit of God and Oswald Chambers’ My Utmost for His Highest. Classic Christianity by Bob George changed the way I think about grace. Gordon MacDonald’s Ordering Your Private World has blessed me more than a couple of times. Joshua by Joseph Girzone is the most life-changing fictional book ever. More recently, while I liked Blue Like Jazz by Donald Miller, I think I liked Searching for God Knows What better. I just read Francis Chan’s Crazy Love and Deliberate Simplicity by Dave Browning. Chan’s book wasn’t as earth-shattering as I expected yet something I wish every Christ-follower would read. Make time to write. Make it a part of your daily and weekly discipline. 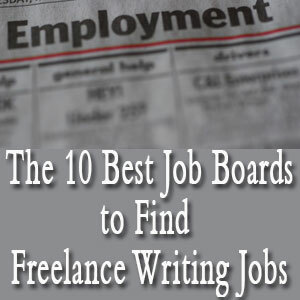 Learn the business of writing. It’s one thing to write a book. It’s another thing to sell one. Be the first to comment on "Interview: Gene Jennings"